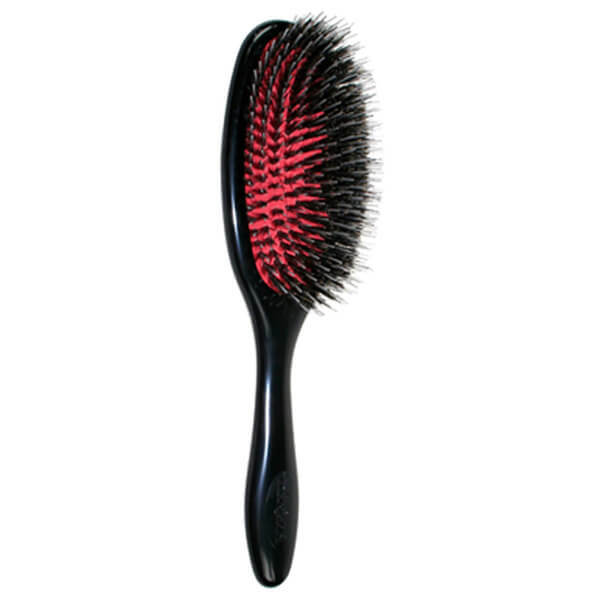 Add a glossy finish to your style with the Denman D81M Medium Finishing Brush with Mixed Bristle, an innovative hairbrush that helps to gently detangle whilst creating a brilliant shine. 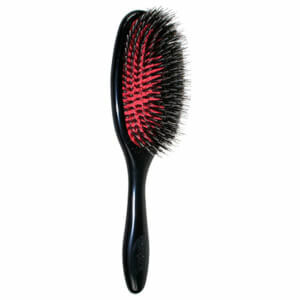 Set in an air-cushioned pad for ultimate comfort, the brush uses a combination of natural and nylon bristles to smooth the hair cuticle, reduce frizz and create a sleek, polished finish. Cover airhole at the top of the brush and then wash in warm, soapy water. Rinse and leave to dry away from direct heat and sunlight. Remove loose hair with a comb. Can be used with a hairdryer.